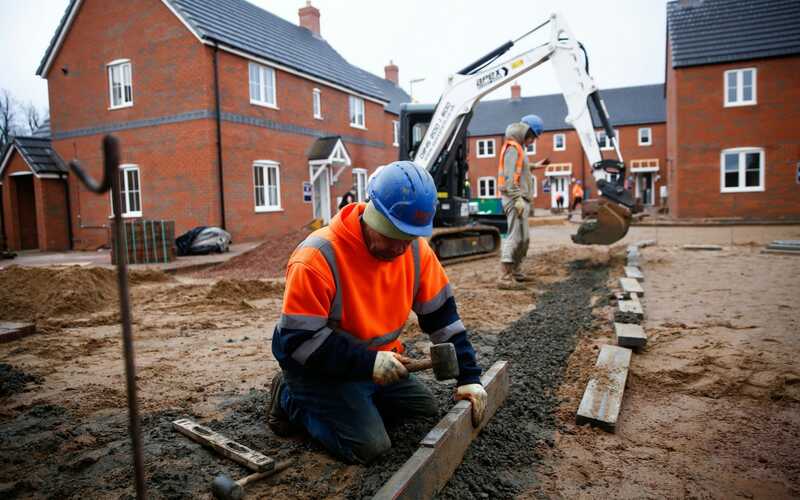 Housebuilder Persimmon has urged the Government to push ahead with simplifying the planning system as its order book for new homes continues to rise. The company said in a trading update on Wednesday that, despite efforts to force local councils to identify sites for housing, “achieving detailed planning consent for the land identified is proving as challenging as ever”. Under the National Planning Policy Framework, which was introduced by ministers in 2012, councils must draw up plans to build homes in their areas. However, it is estimated that almost half of councils are yet to publish a draft local plan. Persimmon said it was “keen to work with all stakeholders taking part in the Government’s housing white paper consultation” in order to make sure that the planning process is simplified, which it says would result in more homes being built. The white paper, which was published in February, sets out a raft of measures intended to stimulate the housing market. He said that sales of homes had strengthened after the summer period, a traditionally quieter time for house purchases. Persimmon said on Wednesday that trading in the past four months had been driven by attractive mortgage rates and the Government’s Help to Buy scheme. It reported that it has around ?909m of forward sales reserved beyond 2017, an increase of 10pc on the same point last year. It added that sales rates had been flat on the prior year because of a surge in sales after the Brexit referendum, although they were 14pc up on the same period two years ago. Shares in the firm closed down 3.5pc at ?27.72, although the company remains one of the best performing stocks on the index. During the period, Persimmon acquired a total of 5,526 new plots costing it ?147m. Anthony Codling, an analyst at Jefferies, said: “In our view, there were more messages for the politicians than investors in Persimmon’s trading update. Persimmon’s call for a faster planning process came as the Royal Institution of Chartered Surveyors (RICS) said the Government needed to go “much further” in aiding councils themselves to build homes by increasing financial freedom and allowing them to borrow. This would help them meet the Government’s target of building one million new homes by 2020. RICS released the first of its demands ahead of the Government’s Budget later this month, suggesting that councils held the key to increasing the number of homes built in the UK. He added that the last time the UK managed to build 250,000 homes a year was in 1978 – when councils built 44pc of all new homes. Separately, RICS also said that the UK housing market continued to stutter in October with both demand from buyers and agreed sales declining. » Prime Minister promised ‘British Dream’ but can her measures fix the broken house market? » Theresa May speech: What's the problem with affordable housing?